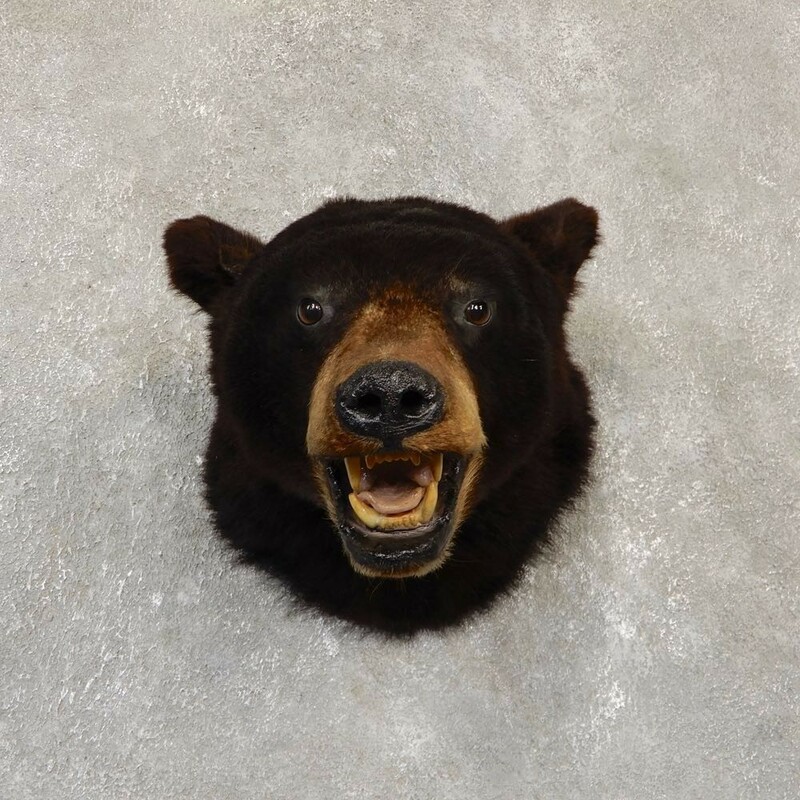 This is a good Black Bear taxidermy shoulder head mount, posed with an aggressive open mouth and looking straight out into the room. This bear has a great hide and thick jet black hair. 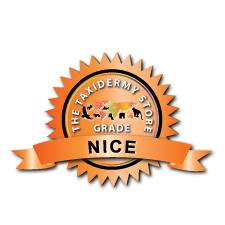 All these features combined with great taxidermy work earns this piece our Nice™ overall quality rating. All applicable dimensions are included to help ensure this item will fit within your intended display space. Black Bears are North America's most common and familiar type of bear. Typically found in wooded areas, black bears are native to North America, though most can be found in Canada and the northern United States. The black bear's diet consists mainly of fruit, plants and insects, though they also eat fish and small mammals. As the name implies, most of these bears are completely black in color, although some can actually appear cinnamon in color. Males typically weight in around 300 lbs, while females are usually closer to half that. Weight fluctuates depending on the season, and black bear usually weighs 30% more just before their winter hibernation.